Beginning in 2009, the United States Mint will mint and issue $1 coins featuring designs celebrating the important contributions made by Indian tribes and individual Native Americans to the history and development of the United States. 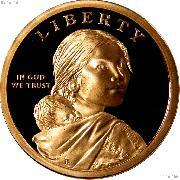 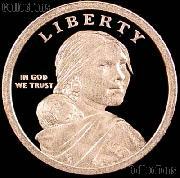 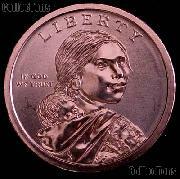 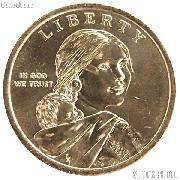 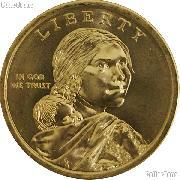 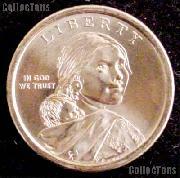 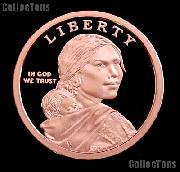 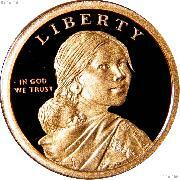 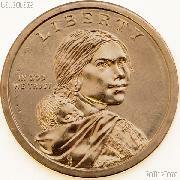 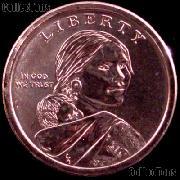 The obverse design remains the central figure of the "Sacagawea" design first produced in 2000, and contains the inscriptions LIBERTY and IN GOD WE TRUST. 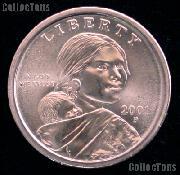 The reverse design changes each year to celebrate an important contribution of Indian tribes, or individual Native Americans, and contain the inscriptions $1 and UNITED STATES OF AMERICA. 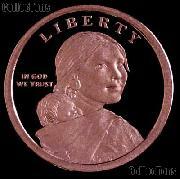 Like the Presidential $1 Coins, the Native American $1 Coins maintain their distinctive edge and golden color and feature edge-lettering of the year, mint mark and E PLURIBUS UNUM. 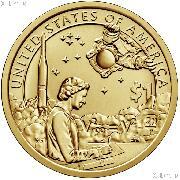 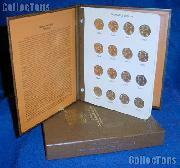 Until the conclusion of the Presidential $1 Coin Program, the coins will be issued, to the maximum extent practicable, in chronological order of the events or lives of the persons being featured on the reverse design. In general, five distinct $1 coins will be issued each year -- four Presidential $1 Coins and one Native American $1 Coin. 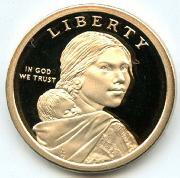 After the completion of the Presidential $1 Coin Program, the Native American $1 Coin Program will continue, featuring designs in any order determined to be appropriate by the Secretary of the Treasury after consultation with the Senate Committee on Indian Affairs, the House of Representatives Congressional Native American Caucus and the National Congress of American Indians. 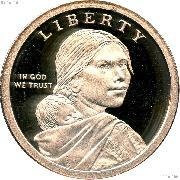 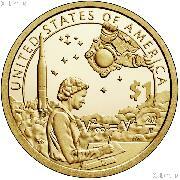 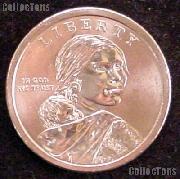 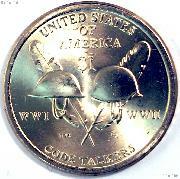 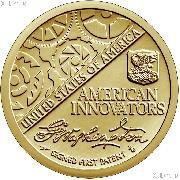 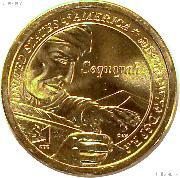 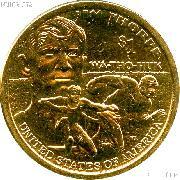 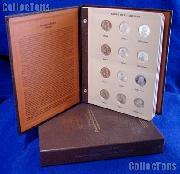 Native American one dollar coins are issued by Philadelphia, Denver and San Francisco Mints.